Racine Roofing & Remodeling offers a wide variety of services for the interior of your home, from a small repair to a finished basement. Whether you need more cabinet space in your kitchen, or you want to build a rec room for the kids to play, we work within your budget to get the most return on your investment. Home remodeling adds value and makes your interior space more practical to use, not to mention can improve the atmosphere where you spend your time. We have an affinity for interior remodeling and pursue jobs anywhere from remodeling a room to home expansions. We can make rooms larger or smaller, or simply remodel your existing interior space. We incorporate your ideas, and bring your visions to life, whether you need an extra bedroom, to remodel your kitchen, or adapt your entranceway, we will do it all for you. 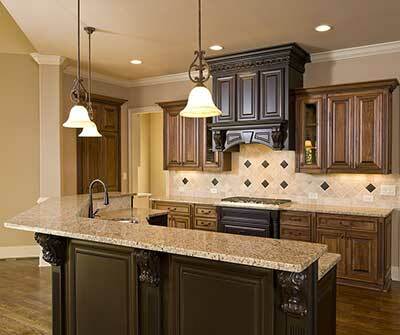 We have provided interior remodeling services to residential and commercial clients since 1999. Our company is known for its personalized service and the quality work of our professional team, which completes projects on time and on budget throughout Southeastern Wisconsin. We offer full warranties on all of our work, and we only use quality materials within your budget, from start to finish, on any venture. We have completed projects in all kinds of buildings and locations, providing ample living and storage spaces to use and add value to your home or business. We are fully licensed, bonded, and insured, and we serve your interior remodeling needs for your residence or businesses in Racine, Kenosha, Sturtevant, Caledonia, Milwaukee, and Franksville, as well as all over Wisconsin.